There were 689 press releases posted in the last 24 hours and 153,597 in the last 365 days. 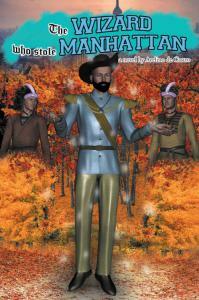 MASSACHUSETTS, UNITED STATES OF AMERICA, November 12, 2018 /EINPresswire.com/ -- Avelino de Castro’s The Wizard Who Stole Manhattan has gained good reviews online after its publication. His book introduces the character of Tom Linden, who in many ways had gone against the norms instilled by his family, especially his parents who are acute overachievers. The life of Tom, as described in a fictitious approach, changes forever as he helps a tribe that magically appeared and asked his help to save Manhattan from a wicked sorcerer named Peter Minuit. Following the successful publication of the book, de Castro reaches another milestone as a book video for The Wizard Who Stole Manhattan is going to be released soon. It will give an overview of how Tom, a Manhattan expert helps the tribe maneuver through a “modern” Manhattan; as well as how Minuit does everything in his power to make sure he keeps the island. Avelino became interested in writing at an early age. He has published ten short stories in various magazines, some under the name of AD Conrad. He has written three novels. The Wizard Who Stole Manhattan is the first serious comic fantasy he has published. Please enjoy.